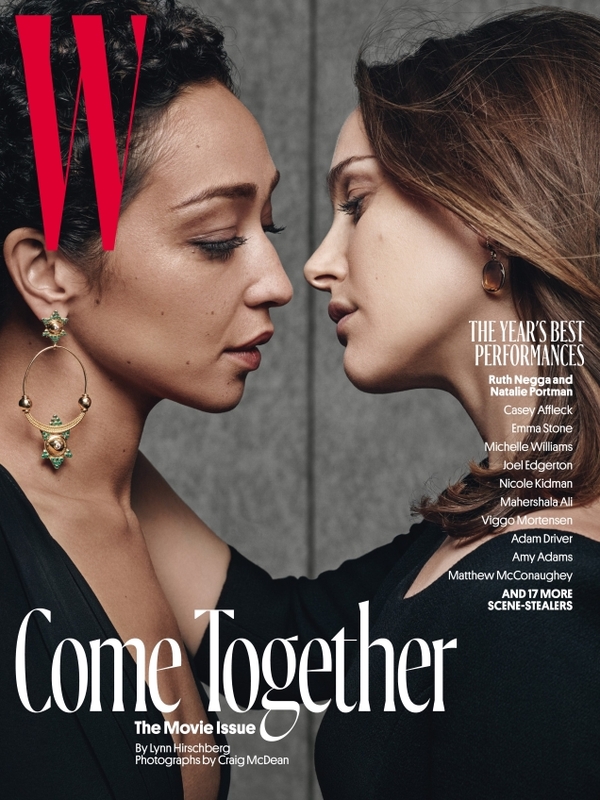 It’s that time of the year when W Magazine unveils its annual ‘Best Performances’ issue featuring some of Hollywood’s finest talent. 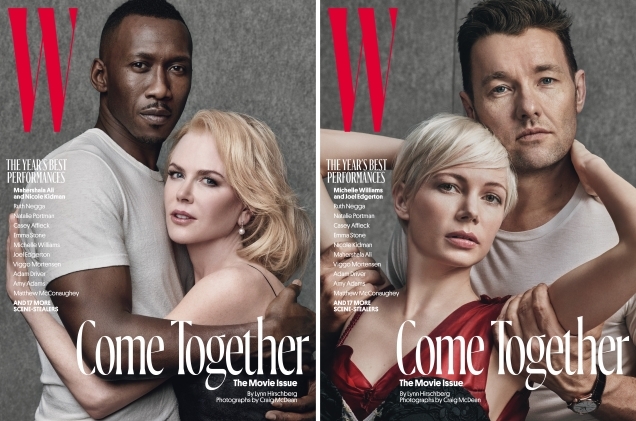 Ruth Negga and Natalie Portman, Amy Adams and Matthew McConaughy, Viggo Mortensen and Adam Driver, Michelle Williams and Joel Edgerton, Mahershala Ali and Nicole Kidman each pair up (and get cozy) for one of W‘s five February covers, captured by photographer Craig McDean. It was only natural for our forum members to pick out their favorites. “My favorites are Viggo/Adam & Amy/Matthew. That said, none of these covers are very cover worthy and there’s something drab about the styling IMO,” stated kokobombon upon seeing all the covers. “Really boring and uninspired covers,” MyNameIs added. “It’s veeeery T Magazine,” acknowledged an underwhelmed Marc10. “To me a sign that Viola might be covering US Vogue February… all the other Oscar contenders are here,” pointed out forum member anlabe32 in response. “I love Nicole and Mahershala’s and Amy and Matthew’s covers,” she went on to share. “Ugh. W Magazine keeps lowering the bar. This is truly hideous. The images are so cold and so sharp and contrasty. This hyper-filtered digital photography is so passé looking. There is no artistry here,” complained a far-from-impressed dior_couture1245. Be sure to check out the remaining covers and see everyone’s solo portraits here. Better luck next time, W!